The current methods utilised when moving a suit through the various legs of the journey from manufacturer to end-user are inefficient, expensive and inconvenient. They are also largely ineffective at protecting the suit from crushing, creasing, wrinkling or damage. 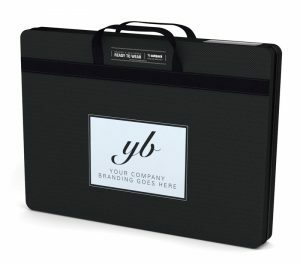 There is a strong need for a packing solution that will allow suit manufacturers, distributors and retailers to experience greater predictability and consistency in this process; a way to streamline the handling of the garment; a single product that can be used to pack, receive and deliver a suit “ready to wear”. SuitPack Tailored has been developed to fill this need. Our first product, SuitPack Travel, was released in 2014 after an intense, three year development program. We were determined to avoid releasing yet another suit carrying system into the travel market which simply did not work and so our total focus was to create a solution with no compromises in quality, performance or dependability. We called on the expertise and testing facilities of the fabrics and textiles division of the Australian Government scientific body (CSIRO) to gain a complete understanding of the underlying science of the causes of creasing and wrinkling in suit fabrics, and employed three internationally recognised industrial design companies to complete exhaustive concept testing and refinement. With a background in international logistics, and knowledge of the limitations of the GOH process, it was natural for the owners of SuitPack to use the patented packing methodology and design elements of the Travel product and adapt them to the menswear market. To this end, most of 2015 was spent consulting with the two largest garment hanger and accessory companies in the world and gathering information about specific retail packaging solutions and materials. A further 12 months was needed to test and refine the concept, settle on component composition and to source appropriate and reliable manufacturing partners. SuitPack Tailored is now ready for market and packs a suit like no other product. Our product provides a platform around which the user completes a simple and easily repeatable packing sequence. The various folds that are used physically support the material and follow the suit’s natural lines. The collar stay, sleeve and jacket supports and the outer bag all work to retain this perfect form and eliminate any movement once packing is completed. Brilliant presentation — inside and out. Removes the need for garment-on-hanger, shrink-wrapping or loose pack in cartons. Brings handling of suits in line with handling of all other boxed products. Multiple suits per carton can be handled as one unit. Reduced cost of logistics as there is no longer a need to use specialist GOH trucks, warehouses and shipping containers. Standard transport can be used for deliveries and returns. Removes risk of jacket and trousers falling off the hanger during transit. Suits arrive ready to be sold and ready to wear. No requirement to press or steam at any stage between manufacture and sale. Increases the visual appeal of both the suit and carrier when compared to traditional suit bags. Replaces the need for a coat hanger and traditional suit bag. Significantly reduce the retail footprint required to sell suits. Allows traditional transport to be used for interstore transfers. 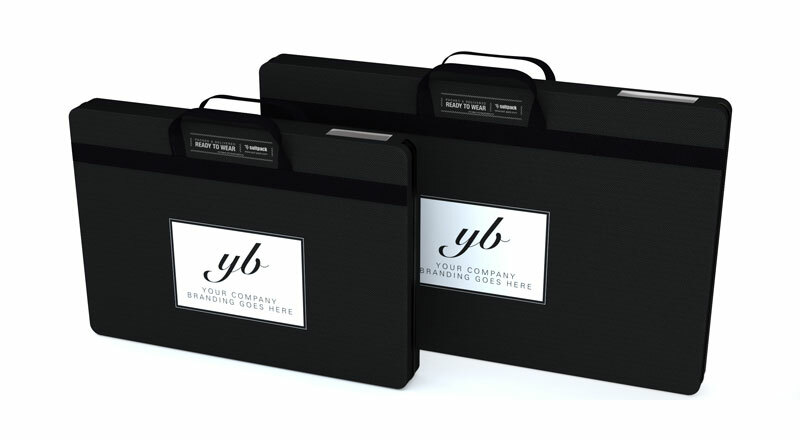 Suits can be sold (and couriered if sold online) in neat, easy to carry SuitPack box guaranteeing that suit is ready to wear at unpack.